The original game of American Football looked like a mix of soccer and rugby. It involves an oval-shaped ball called a football. The objective of the game is to get the ball into the end zone for a touchdown. This is normally accomplished by having the quarterback throw the ball to another player, who then runs it into the end zone or passes it to another player. The opposing team attempts to stop play by tackling players or intercepting the ball. Each touchdown is worth six points. Football facts tell us the first football game was played in 1869 between Rutgers and Princeton in New Jersey. At the time, the rules did not resemble the modern game we are used to seeing. Eleven years later in 1880, Walter Camp codified the game with a series of rules, including team size and the system of downs. He is widely considered the father of football, though his rules have since been modified. Football might have a short season of just 17 weeks, but that doesn’t stop people from watching in droves, tailgating at arenas and cheering for their favorite teams. Football facts show the sport is the most popular American game and its championship, the Super Bowl, the most watched television event of the year. The National Football League (NFL) began in 1920. At the time, it was called the American Professional Football Association. The head of the NFL is the commissioner. The NFL is tasked with ensuring that the rules of the game are being followed. They also organize the Super Bowl. The NFL currently organizes 256 games over 17 weeks. The first game generally takes place the week following Labor Day and the season ends around New Year’s Day. The regular season is then followed by postseason games to determine conference champs. The Super Bowl is held in late January or in February. Every year, the winners of the American Football Conference and the National Football Conference face off in the NFL championship game, the Super Bowl. One of the most popular sports events in the United States, the Super Bowl marks the end of the football postseason. Football facts show the 2015 Super Bowl was the most watched television event in United States history. The Pittsburgh Steelers have won six Super Bowl Championships. They’ve played in eight Super Bowls and are one of three teams to have made it to the Super Bowl that many times. The Dallas Cowboys and the New England Patriots have also played eight Super Bowl Games each. The Cowboys have won five Super Bowls and the Patriots have won four times. The NFL holds a yearly draft where teams select eligible college players and offer them contracts. The team with the most losses in the previous season has the first pick. The order of draft picks is decided by season losses, with the team with the most wins picking last. Some teams choose to trade draft picks when they trade players. The draft provides the NFL with most of its players. Teams sometimes hold open tryouts or contract free agents as well. The National Football League is composed of 32 teams. The teams are then divided into the National Football Conference (NFC) and the American Football Conference (AFC). Each conference has one champion each year. Those two championship teams then play each other in the Super Bowl. Each football team must have 11 players on the field. 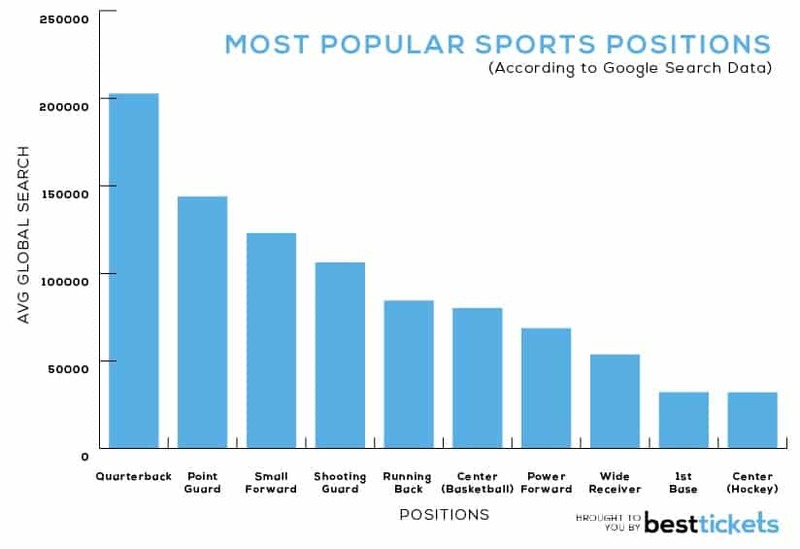 The positions the players play vary depending on whether the team is on offense or defense. Offensive positions include quarterback, halfback, fullback, wide receiver and tight end. Defense positions include linebackers, cornerbacks and safeties. Players can be substituted between downs. To ensure fair play, the NFL uses seven different officials. These officials keep track of many things, including the downs and the fouls. Football facts show officials wear black and white striped shirts. The seven officials each watch for different infractions and are each responsible for different things. The referee is the highest ranking of the officials and has the most responsibility in terms of oversight. The other officials are the umpire, the back judge, the head linesman, the side judge, the line judge and the field judge. Sarah Thomas will become the first full-time female official in NFL history when the 2015-2016 football season gets underway. She follows in Shannon Easton’s footsteps. Easton was the first woman to officiate an NFL game, though she did not have a full-time contract with the league. The Denver Broncos played hard to earn their spot in seven different Super Bowls. Unfortunately, they lost five of those championship games, giving them the unenviable title of the team with the most Super Bowl losses. The New England Patriots, the Minnesota Vikings and the Buffalo Bills each have four Super Bowl losses. 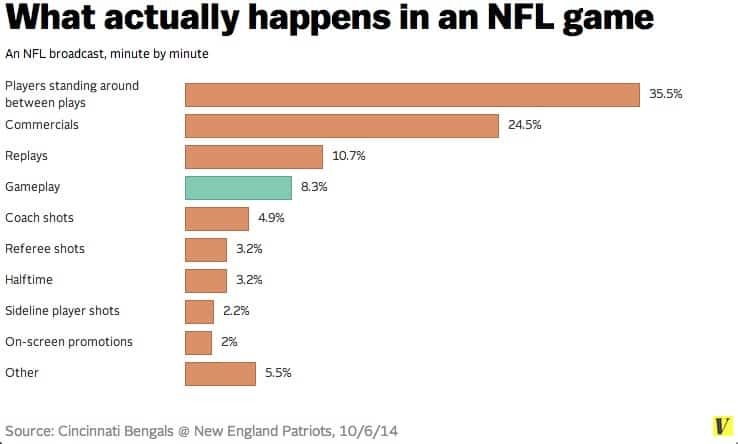 Football facts show that of the 32 NFL teams, just four have never made it to the big game. The Cleveland Browns, the Detroit Lions, the Jacksonville Jaguars and the Houston Texans have not yet been successful enough to win a spot in the Super Bowl. Peyton Manning has been named the Associated Press’s Most Valuable Player in the NFL five times. He was awarded this honor in 2003, 2004, 2008, 2009, and 2013. Jim Brown, Johnny Unitas and Brett Favre have each won the MVP trophy three times. Brett Favre holds the record for most regular season wins, with 186 wins and most pass yards (71,838), among others. He is also the only quarterback to win a playoff game after turning 40. Jerry Rice holds the record for the most touchdowns in the NFL. The wide receiver amassed 208 touchdowns from 1985 to 2004. Jerry Rice is considered one of the best NFL players. He also holds records for the most receiving yards (22,895) and most receptions (1,549), among others. Jerry Rice holds over 100 NFL records, which is a record in itself! Football facts tell us that Don Shula coached the Baltimore Colts and the Miami Dolphins to a combined 328 regular season wins, a record for any head coach. He was the coach of the Miami Dolphins during their perfect season and led the team to two Super Bowl wins. Shula also holds the record for six Super Bowls as a Head Coach. While football players have multi-million dollar contracts, the cheerleaders performing on the sidelines are paid very little in comparison. According to football facts, cheerleaders earn an average of $125 a game. They are not paid for rehearsals or charity events and must launder their own uniforms. This has lead to several lawsuits. 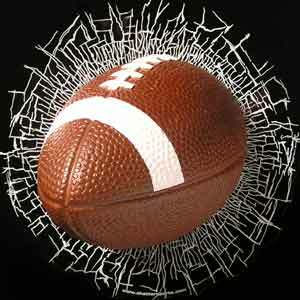 Wilson, a sports equipment company, has an exclusive contract to provide the footballs for NFL games. They firm has provided the sports league with footballs since 1941. Wilson currently produce an astonishing 4,000 footballs every day. In 1972, Don Shula lead the Miami Dolphins to the league’s only complete perfect season. They won every game they played in both the regular season and the post season. The Dolphins were 14-0 during regular season play and 17-0 after postseason. In 1934 and 1942, the Chicago Bears won all their regular season games, but lost in the playoffs. More recently, the New England Patriots completed a perfect regular season with 16 wins. They won their first two playoff games, then lost the Super Bowl to the New York Giants by only three points. They ended the postseason 18-1. 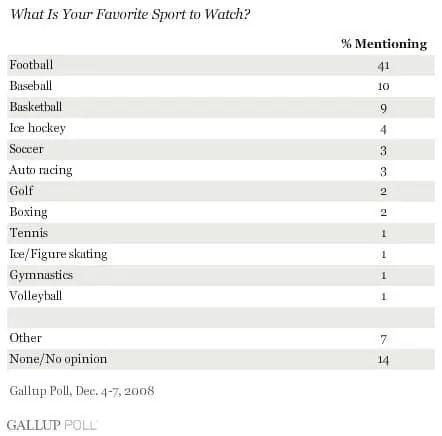 Football is the most popular sport in the United States. The National Football League governs the game at the professional level, orchestrating a 17-week season for 32 teams in two conferences, the American Football Conference and the National Football Conference. The championship game, known as the Super Bowl, is usually the most watched television event of the year. Only one team has ever had a complete perfect season; Don Shula led the 1972 Miami Dolphins to their undefeated season and postseason.